Breathing in air pollution from traffic fumes can raise the risk of potentially deadly blood clots, a US study says. Exposure to small particulates - tiny chemicals caused by burning fossil fuels - is known to increase the chances of heart disease and stroke. But the Harvard School of Public Health found it also affected development of deep vein thrombosis - blood clots in the legs - in a study of 2,000 people. Researchers said the pollution made theblood more sticky and likely to clot. The team looked at people living in Italy- nearly 900 of whom developed DVT. Blood clots which form in the legs cantravel to the lungs, where they can becomelodged, triggering a potentially fatalpulmonary embolism. The risk of DVT is known to be increasedby long periods of immobility. Inparticular, passengers on long-haul flightshave been shown to be vulnerable, but so arepeople who spend long periods of timesitting at their office desk withoutexercising, or walking around. 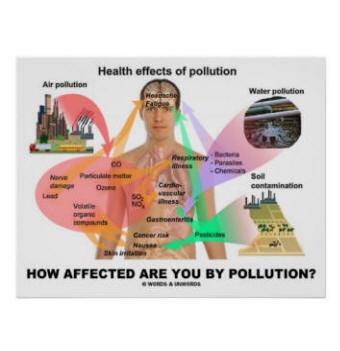 Researchers obtained pollution readingsfrom the areas they lived and found thoseexposed to higher levels of smallparticulates in the year before diagnosiswere more likely to develop blood clots. The Archives of Internal Medicine reportsaid for every 10 microgrammes per squaremetre increase in small particulates, therisk of developing a DVT went up by 70%. Air quality guidelines generally statethat small particulate concentrations shouldnot exceed 50 microgrammes. Lead researcher Dr Andrea Baccarellisaid: "Given the magnitude of the effects,our findings introduce a novel and commonrisk factor into the development of DVT. "And, at the same time, they give furthersubstance to the call for tighter standardsand continued efforts aimed at reducing theimpact of urban air pollutants on humanhealth." Dr Beverley Hunt, medical director of theDVT charity Lifeblood, said: "We have knownfor some time that air pollution has beenassociated with increased risk of heartattack and stroke. "This study shows for the very first timethat air pollution also increases the riskof clots in the veins and tells us why. "It's an exciting finding because airquality is something we can improve onthrough tightening air quality legislation."